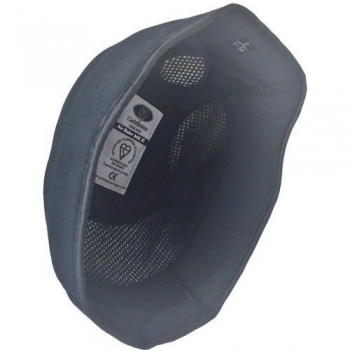 It is lightweight and well ventilated with dial size adjustment and features a secure 4 point harness and removable and washable liner. 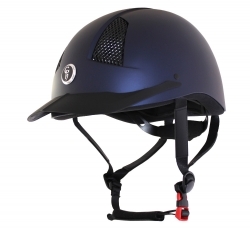 This hat is kitemarked to PAS015 2011 and VG01 and is suitable for both competition and leisure riding with the exception of cross country (owing to the peak). 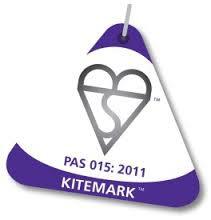 The Air Rider Safety Standard PAS 015 2011 kitemark is located on the crown padding as you look directly into the hat and under the removable liner on the grey EPS shell.